Take any one of these nozzles out of their cradles and you’re going to get wacked with another price increase this month. The fuel price of both diesel and petrol are going up again from Wednesday with the Department of Energy announcing a 26c per litre hike in the wholesale price 0.05 sulphur diesel and a 24c a litre hike for 0.005 sulphur diesel. Both grades of petrol, 93 and 95 (ULP and LRP), will increase by 26 cents a litre and 23 cents a litre respectively. In a statement issued prior to the Department’s official announcement, the Automobile Association said it could have been much worse and South Africans have been thrown a lifeline by declining oil prices in June. “If oil had remained flat in June instead of declining, price increases of 40 cents a litre would have been likely for July. And if it had followed its upward path of May, the increase would have been nearly 80 cents. The average Rand/US dollar exchange rate used to calculate the basic fuel price has slipped in a virtually straight line since the start of June and fortunately, international oil prices have retreated at a similar rate,” said the AA. International oil prices and the Rand strength against the US dollar are the two primary factors which influence the fuel price on a monthly basis. But the AA warns that any uptick in oil prices could have serious implications for South Africans if the Rand continues to slide. Given the increased cost of fuel in South Africa, the AA has again urges government to reconsider the high cost of the added taxes which account for up to one third of the petrol price. 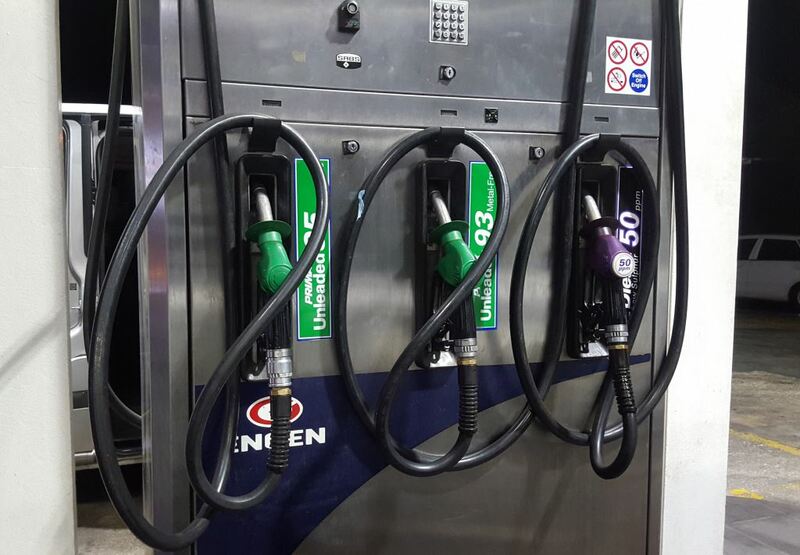 Currently R5.30 of every litre of petrol is paid towards the General Fuel Levy and the Road Accident Fund Levy. The Association advises that it foresees further fuel price hikes driven by South Africa’s weak economic position and potential fallout from trade tariff disagreements between the USA and other nations. Editor’s Note: Given that the price of fuel had an extra 52c per litre added in April this year after it was announced in the Budget speech that the fuel levy would be hiked by 52c per litre, 22 cents of which would go to the general fuel levy and 30 cents to the Road Accident Fund, FleetWatch was bitterly disappointed to read in the Sunday Times of July 1st that the Road Accident Fund is again in the news for the wrong reasons. This time the story – written by Mzilikazi wa Africa – told of how the RAF has pushed through a contract to rent 300 chairs at almost R500 000 a month. That’s R1 666 per chair per month and there was no tendering process. The RAF receives R1.93 for every litre of petrol sold. The article also stated that Transport Minister Blade Nzimande dissolved the RAF’s board last week because of serious divisions and dysfuntion.